The ever-extravagant Ancient Roman Emperor Tiberius didn't construct just one villa on the island of Capri. He built 12. 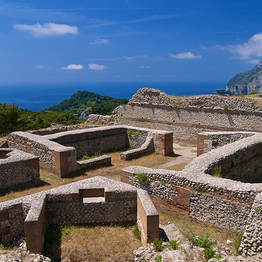 Whilst the ruins of the emperor's residences can be found scattered all over the island, only 3 of the villas have survived the passage of time well enough to be recognizable as such: Villa Jovis, Villa Damecuta and Palazzo a Mare. This itinerary takes you to all three (with the occasional detour for a splash in the sea too). The first stage of this itinerary leads to Villa Jovis the largest and best conserved of the 12 villas which Tiberius had built on the island, following his decision to retire from political life here. How to get to Villa Jovis: from the Piazzetta walk along Via Longano and then Via Sopramonte. At the crossing, take Via Tiberio: don't worry, the steep uphill climb you see before you is a short one! After about 40 minutes, the path ends at the entrance to the ruins. Time for a break? 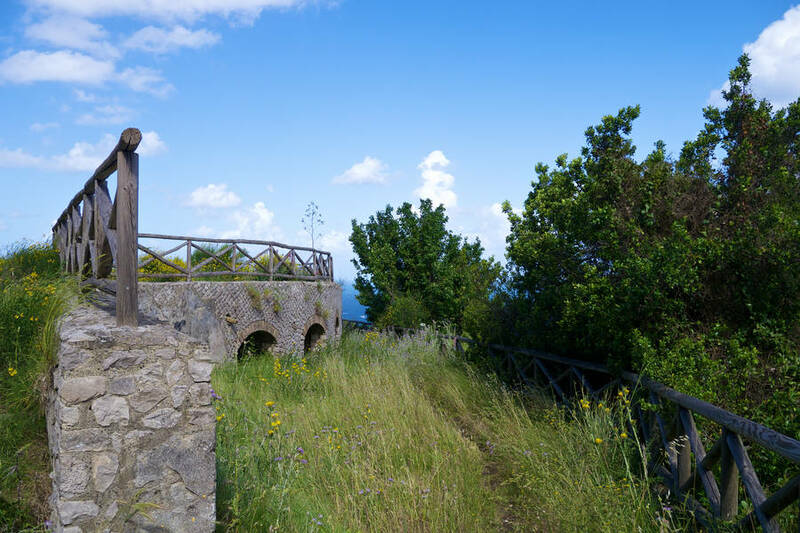 : just before you reach Villa Jovis, stop to visit the Astarita park, a series of terraces towering above the sea and shaded by ancient pine trees. Getting there: From the Piazzetta, walk the length of Via Longano, continuing along Via Sopramonte and finally Via Tiberio. Otherwise, from the Piazzetta take Via Le Botteghe, Via Fuorlovado, Via Croce, and finally Via Tiberio.. It's an uphill walk and will take about 45 minutes. Duration: It's an uphill walk and will take about 45 minutes. Ticket price: Euro 6,00. Free for European Union citizens under 18. Free entrance in the first Sunday of the month. Opening & Hours: from June 1st to September 30th open every day from 10:00 am to 7:00 pm (last entrance 6:15 pm) - October from 10:00 am to 5:00 pm (closed on Tuesday) - November and December from 10:00 am to 4:00 pm (closed on Tuesday) . Close from January 1 to March 14. Entrance until 30 min. before closing time. 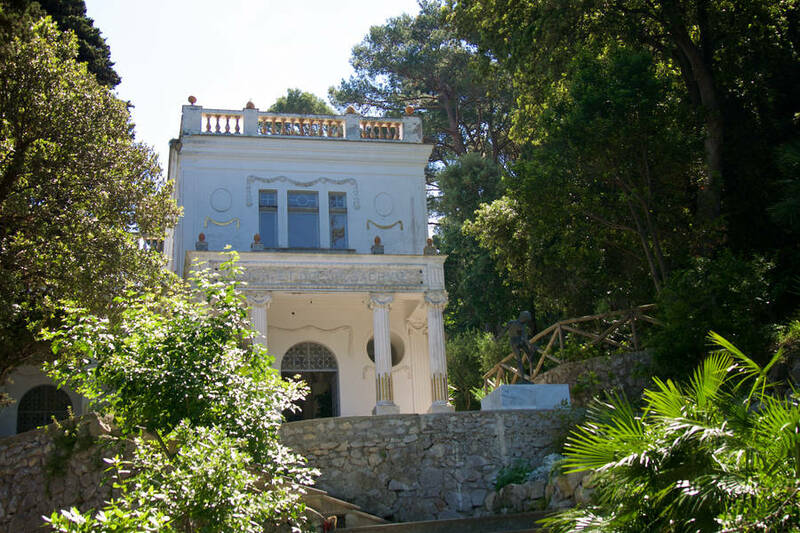 A detour for the return journey: Having visited Villa Jovis , as you make your way back towards the center of Capri, make the detour along Via Lo Capro to visit Villa Lysis, Villa Fersen, which was once the home of the French poet and writer Jacques d'Adelsward-Fersen. At the crossing with Via Matermania, you can decide to proceed along the panoramic Pizzolungo coastal path or head straight back to the Piazzetta and from here continue along the Imperial Villas walk. 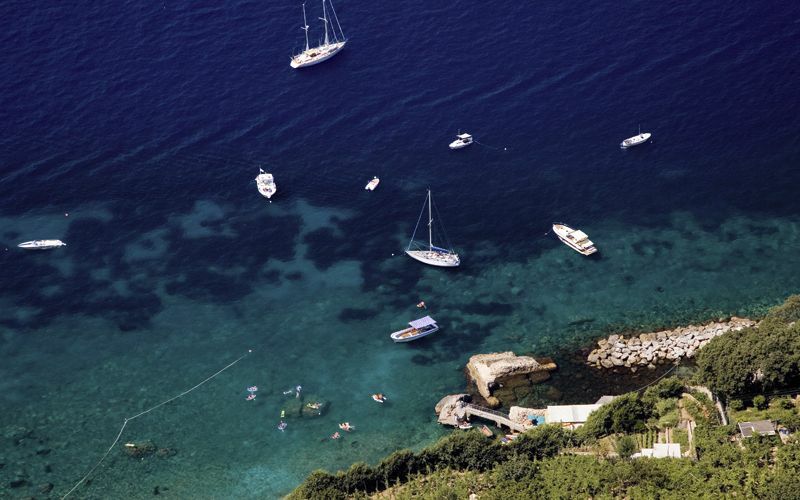 Make your way down to Marina Piccola for a dip in the sea. 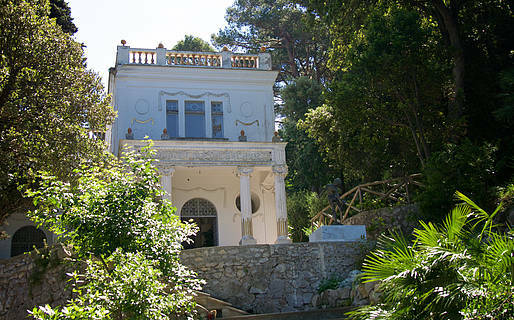 Villa Damecuta, the second of Tiberius' best conserved villas is located in Anacapri. 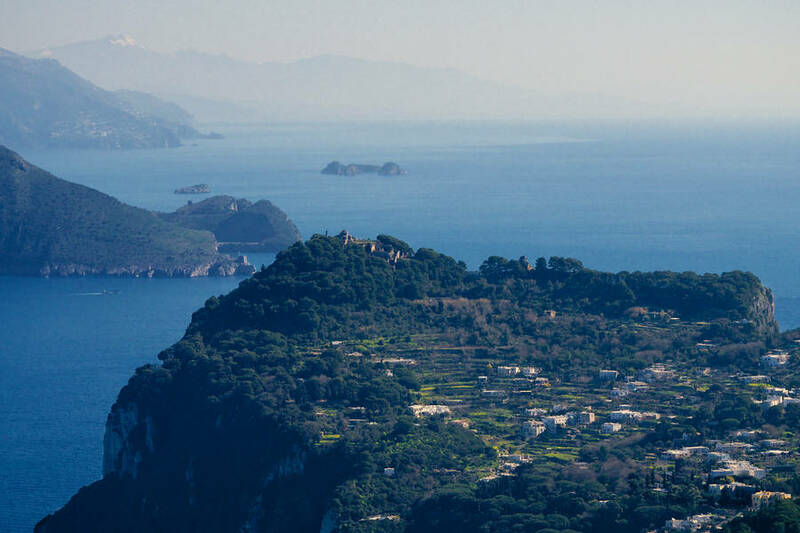 To reach Anacapri take the little local bus from Capri town and get off at the first stop after Piazza Vittoria in Anacapri (by the cemetery). From here you'll need to catch one of the buses which run to the Grotta Azzurra, and stop just outside the Damecuta archeological park. Buses run every 20 minutes, purchase your ticket on board and tell the driver you want to get off at the closest stop to the villa. 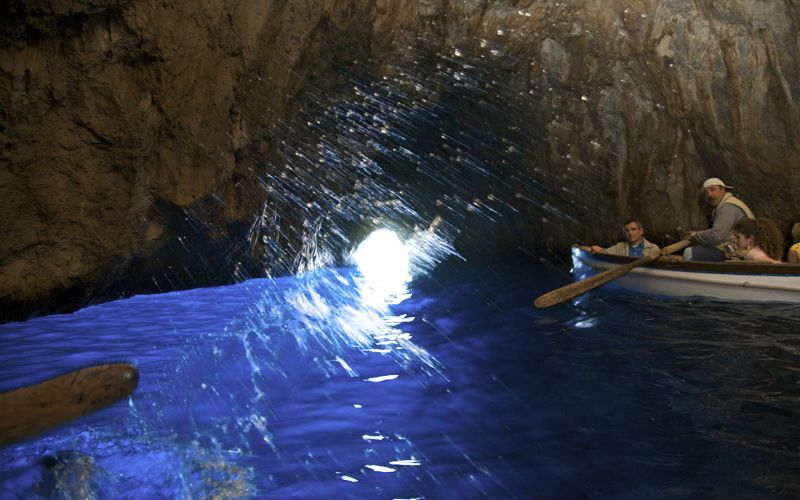 Having visited Villa Damecuta you can make your way back to the center of Anacapri or make your way down to the Grotta Azzurra. Bear in mind that visits to the legendary sea cave (by rowing boat) terminate at 17.00hrs circa. Whatever the time of day, the gorgeous Gradola beach is the perfect place from which to swim in the sea washing the shores of Anacapri. Ready for more Roman ruins? 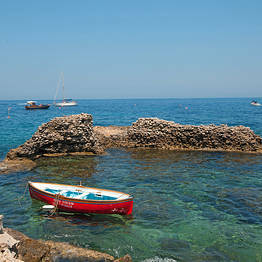 Head to Bagni di Tiberio, the emperor's seaside villa in Marina Grande. 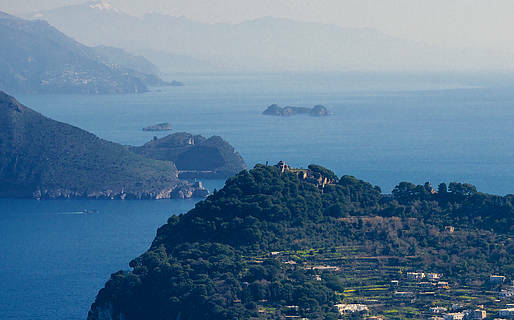 From Anacapri: take the bus to Marina Grande and get off at San Costanzo. From Capri: take the bus to San Costanzo - Marina Grande. 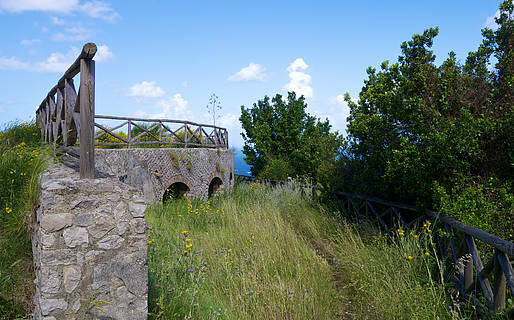 You can reach the ruins of Palazzo a Mare by way of a pleasant 30 minutes stroll (follow the signs to the Da Paolino restaurant and then continue along the path as far as the villa). The path takes you past two football pitches after which, just when it seems the path has come to an end, you'll see the steps which lead down to the beach. 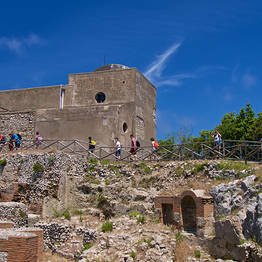 Here you'll find the ruins of the villa, a bathing establishment with restaurant and a stretch of free beach. If you don't fancy making the return journey on foot, you always can take the beach club's shuttle service to port of Marina Grande instead. Do you want to learn more? 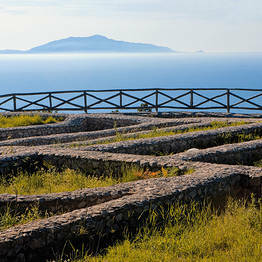 Read the history of Capri from prehistory to the Grand Tour.